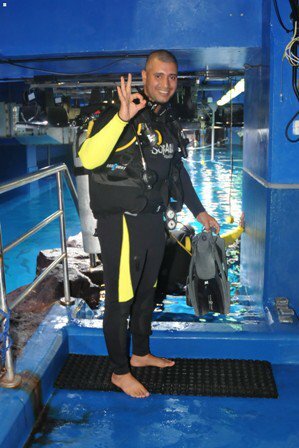 Captain Fareed A. Lafta is an internationally recognized name in the world of extreme sports. The Iraqi national, who is currently based in Dubai, has successfully undertaken the riskiest of feats, earning the admiration of his peers across the globe. "He has been hailed as Iraq's superman: a role model for the nation's youth who flies, glides, dives and races motor­cycles. 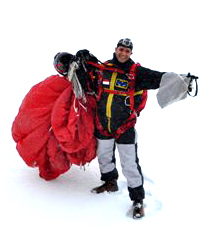 He has already taking part in the first ever skydive above Mount Everest. 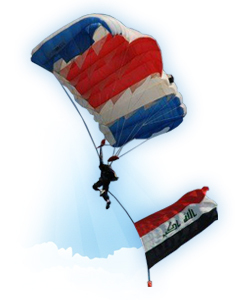 But last week on May of 2009 Fareed Lafta, a Dubai-based extreme sports fanatic, returned to Baghdad to seek backing for his ultimate ambition – to be the first Iraqi in space. 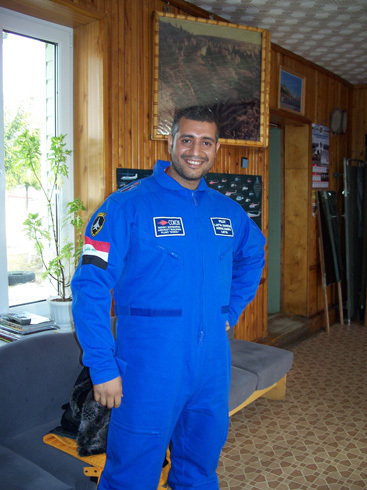 "I want to represent my country, and to be one of the men like Neil Armstrong and Yuri Gagarin, who showed with all humility what it is to be a good human," said Iraq's pioneer cosmonaut". 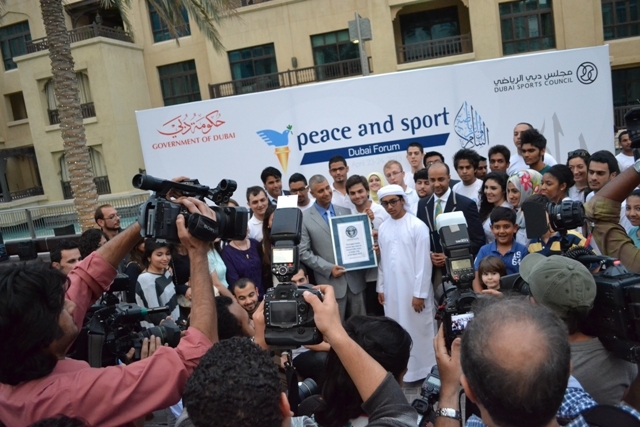 Now, Fareed succeeded in his attempt to set another record - creating the world's largest peace icon using 1.2 million buttons. From March 2 to 9, Fareed and his team embarked on this mission at Burj Plaza, at EMAAR Boulevard, next to Dubai Mall. The icon, shaped like a dove, will don the four colours of the UAE flag. Fareed has been addicted to adventure since he was a boy. "I would climb to the top of the cupboard in my bedroom and jump off. My mum got mad and punished me because I made a mess of my room. But it was the informal start of my career, aged five. My parents still think I'm crazy." Stay Connected with captain Fareed Lafta and his fans.